Join CD-adapco for Predicting the Real-World Performance of Your Products with Multiphase Simulations on August 3, 2016. Applications involving multiphase flows are all around us. The simulation of these applications requires a broad range of Eulerian and Lagrangian multiphase modeling capabilities that can work together and ensure that the predicted behavior of your designs matches the real-world performance of your products. Mentor Graphics will host Gaining Insight into Heat Exchanger Design Performance on 11th August, 10am UK Time & 10am US Time (PST). Heat exchangers are used across a wide range of industries. 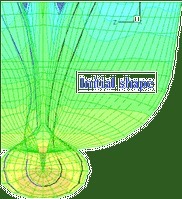 Modern CFD simulation tools allow an early performance assessment in the design process. This webinar will feature a few basic fundamentals of CFD and illustrates how CFD can be used to improve an automotive heat exchanger design. ERCOFTAC will host High Order Methods for Industrial CFD on 3-4 November 2016 at NUMECA, Brussels, Belgium. As the industrial use of CFD continues to expand in daily engineering design and development, Industrial CFD still faces many challenges, especially its efficient use in a multidisciplinary design optimisation (MDO) environment. Therefore, to successfully manage the complex processes leading to a robust MDO methodology, one has to address the issue of reliability of the CFD predictions. FINE™/Marine, the leading CFD software for naval architects and marine engineers, offers high accuracy flow simulation results on arbitrary and complex geometries, leading to shorter design cycles. Attendees at the Pointwise User Group Meeting will be some of the first people in the world to learn about the latest features in the new Pointwise V18 release. The Pointwise User Group Meeting is being held in Fort Worth on 21-22 September 2016. Attendees will participate in a full day of interactive training sessions in Pointwise V18. NUMECA International has a whole series of workshops planned this summer! These dedicated 2-hour sessions offer a mix of product presentations and practical hands-on exercises. We would be happy to welcome you in one of them.